It's the start of a new challenge on the Oak House Studio blog - all you have to do is create something in Citrus colours and using one Oak House Studio product. 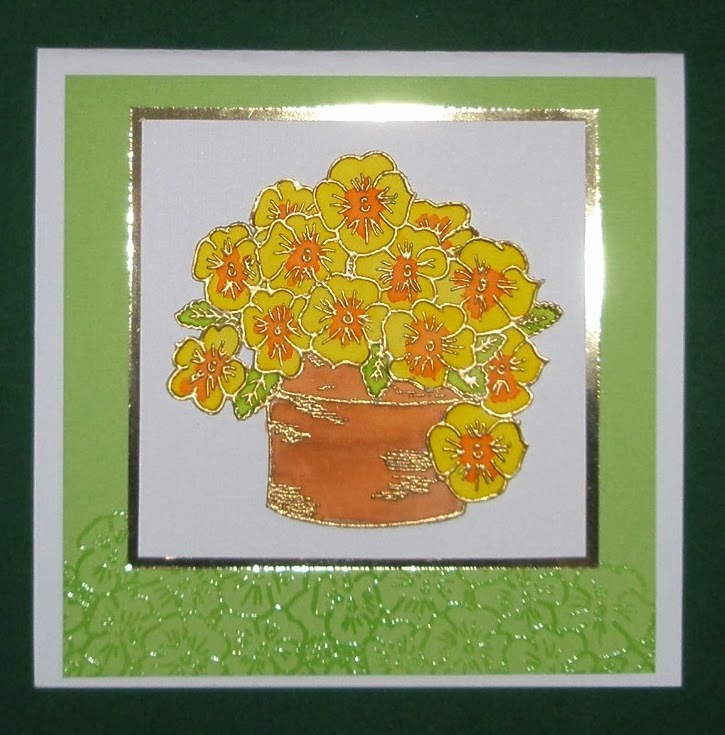 A card (could be birthday or mothers day) using the Pansy Pot stamp gold embossed about 4 times and decoupaged to make a lovely full pot of pansies. I've mixed Brazil Nut and Citrus Orange Ink in a Bottle to make a terracotta colour for the pot and the flowers have just been painted with Citrus Yellow, Citrus Orange and Citrus Lime Ink in a Bottle. I used a pipette to decant some ink into a paint palette and painted with a water brush. To add further detail I've stamped and clear embossed a border of pansies. My next piece is for all those scrapbookers out there. 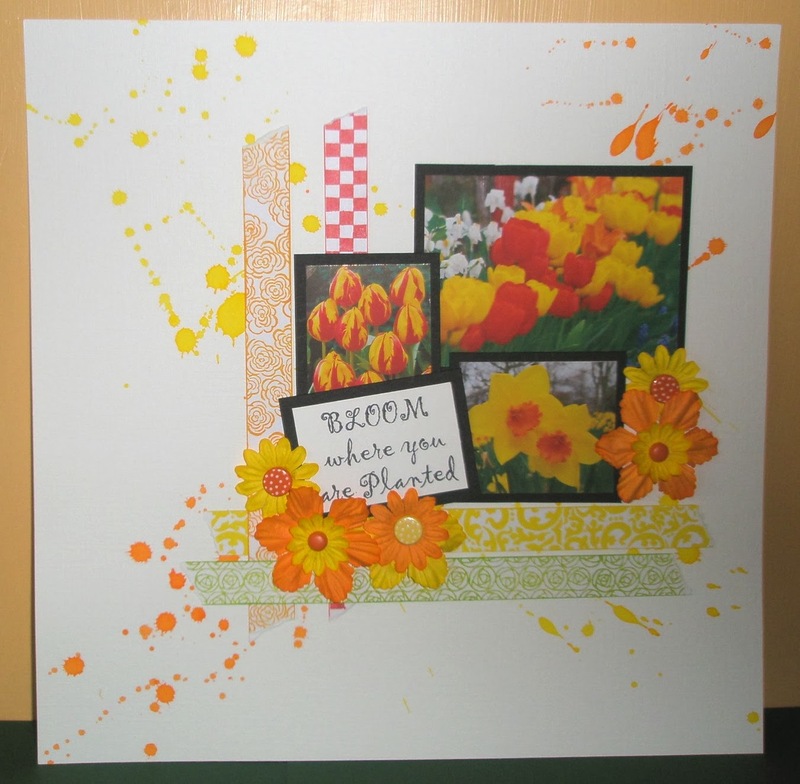 I started with a 12 x 12 of white linen card and just flicked Citrus Yellow and Orange ink with a paint brush. I made some homemade washi tape using 4 stamps (Mack Rose, Rosette, Checkerboard and Thoresby) and Pigment Ink Pads (Spring Green, Daffodil, Valentine and Lemon Yellow. I sprayed some white paper flowers with the Citrus Inks in a Bottle, added some brads and finished with the sentiment stamp Bloom where you are planted. All the stamps, spray inks and ink pads can be bought from Oak House Studio. Why not pop over to the blog to see what everyone else has created and have a go - there's a prize to be won! !